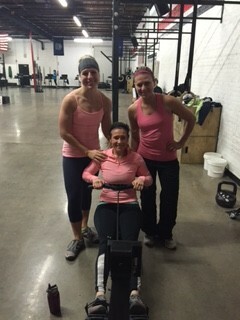 Tasha, Adriana & Jessica P.
The run group will head out for 8 miles today. Meet at the red mat at 9am. Dress in layers and bring fuel/water. Refreshments for all of the finishers post run courtesy of Parks! NEW CLASS!! Intro to weightlifting has been added to the class schedule for today at 11 am. This class is the new prerequisite for our Olympic Lifting class. 10 person cap. Register in MindBody.